The Rs. 5 coin-operated electronic toilets or e-toilets cost about Rs. 7 lakh each. 6 x 8 feet fully automatic the door only open when a Rs.5 coin is put. 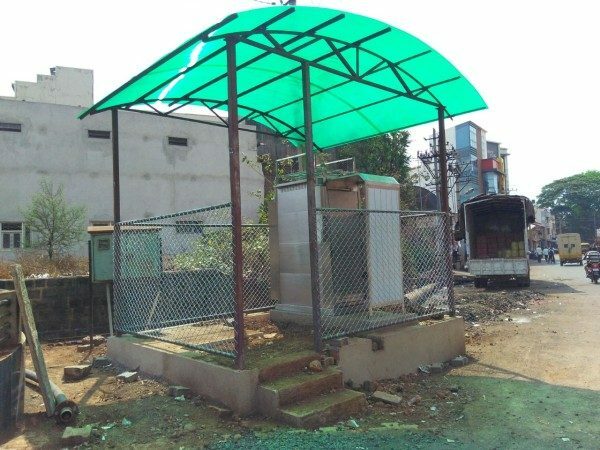 Made of prefabricated steel, the toilet is furnished with amenities like a chair, fan, and mirror. What makes the unmanned toilet a standout is its fully automated pre-flushing and flushing system along with modular features like a sanitary napkin vending machine and a napkin incinerator. 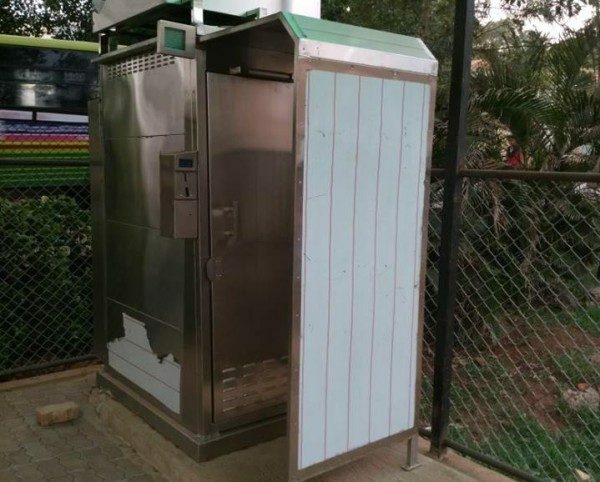 The e-toilet with a stainless steel body will have built-in water tank with a capacity of a minimum 225 litres and can be accessed through a coin validator based on automatic payment collection mechanism. Exit from the unit would be manual. The unit illuminates once the door is opened. The automatic flushing system includes automatic pre-flush cleaning before use, automatic closet washing mechanism after use and automatic platform cleaning mechanism programmed after specific number of users. In addition, flush switch will be provided for manual operation. The standard features to be included are health faucet, exhaust fan and cloth hanger. Alerts to the users include indications on “Ready to use” and “Busy”. Also, web-enabled support, a GPRS-based real-time data to be provided from the unit through web, will be available to know health status such as the number of users per day and coins collected. The unit will have status display in LEDs, besides printed instructions in two languages, voice guidance for users, back-up power facility for 30 minutes and napkin vending machine and napkin incinerator. The supplier company will be responsible for maintenance of these units.